Haley Development LLC broke ground in June on Phase 1 of the Portico Development, a mixed-use space taking shape on 3.5 acres in downtown Fairhope. The Portico Development, on 3.5 acres at 561 Fairhope Ave., is walkable to Fairhope’s many downtown shopping and dining jewels. Haley Development LLC broke ground in June on Phase 1 of the Portico Development, a mixed-use space taking shape on 3.5 acres in downtown Fairhope. For those familiar with the recent political skirmishes in south Alabama’s most picturesque small town, any new building might be seen as something of a minor miracle. A story in May headlined, “What Is Wrong With Fairhope?” by AL.com recounted the difficulties of the town founded by utopian dreamers 120 years ago, who envisioned a place that offered a “fair hope” for all its residents with single taxation and time-limited property deeds. The town’s new mayor, Karin Wilson, has done battle with a mostly entrenched five-member city council that has largely resisted her reforms and taken advantage of her lack of political experience. Comparisons have been made to the current situation in Washington. Still, the U.S. Census continues to show Fairhope to be among the nation’s fastest growing communities; Portico will have options for people in need of office space or downtown residences. The first phase will have five class A commercial units in a two-story building with a central elevator lobby and on-site parking. ServisFirst Bank has signed on as a tenant. Phase II will bring an additional 10, 000 square feet of Class A commercial space and 10 prime residential condominium units. 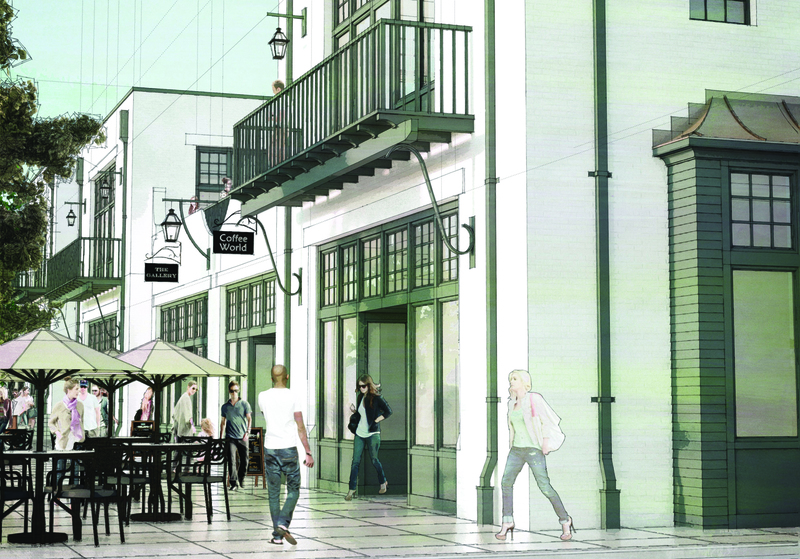 Additional phases will potentially bring another 25, 000 square feet of mixed-use space. Architectural design will be by Pfeffer Torode of Nashville, Tennessee; design consultation by McCown Design; construction by Rogers & Willard; commercial leasing by Jeff Barnes of Stirling Properties, and residential sales by Morgan Ashurst of Ashurst Niemeyer. Phase I should be done in January.